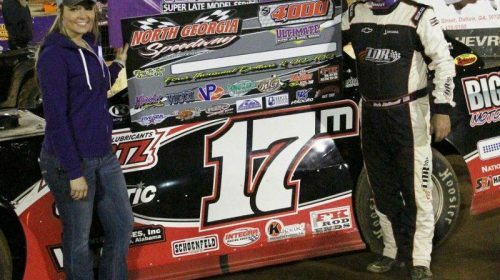 MODOC, SC – Chris Ferguson of Mt. 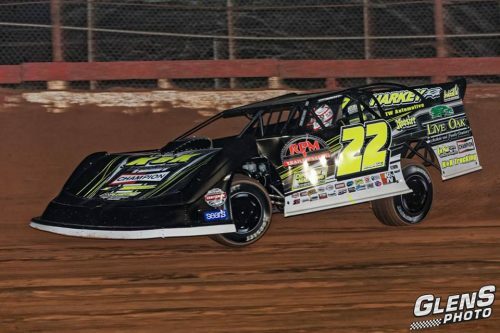 Holly, NC drove his appropriate #22 RPM Transmissions Rocket to his third straight Jack Starrette Memorial 50 win for the ULTIMATE Super Late Model Series South East Region on Saturday night at Modoc Raceway. The win was worth $5,022 to Ferguson, and the number 22 is prevalent because Starrette used #22 on his race cars as a National Dirt Late Model Hall of Fame Car owner. 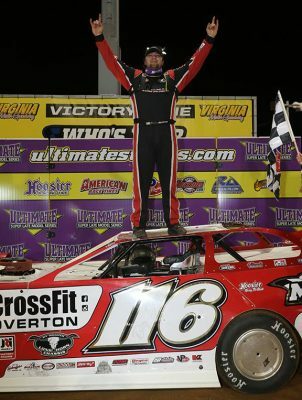 JAMAICA, VA – Brandon Overton of Evans, GA drove to his second straight ULTIMATE Super Late Model Series South East Region win on Saturday night and pocketed $20,000 in the Aaron’s King of Commonwealth at Virginia Motor Speedway. Overton battled with Jonathan Davenport of Blairsville, GA early and often before taking the lead for good on lap 28 of the 60-lap race. 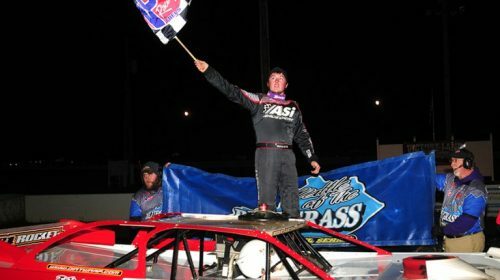 BROWNSTOWN, IN – Second generation driver Tanner English of Benton, KY drove the Seay Motors Rocket to a clean sweep on Saturday night in the 2017 season opener for the ULTIMATE Battle of the Bluegrass Super Late Model Series at Brownstown Speedway. English was undefeated for the night. CARNESVILLE, GA – D.J. Irvine has been named the Ultimate Battle of the Bluegrass Super Late Model Series Regional Director by Fastrak Companies International Founder and CEO Stan Lester. 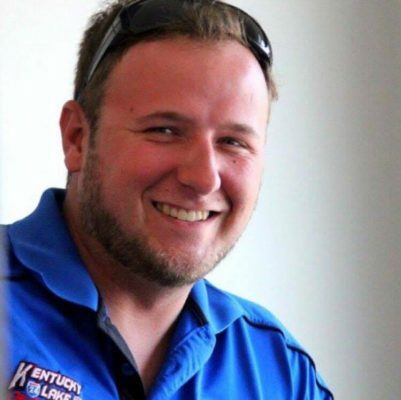 Irvine is a well-known race official in Western Kentucky, which fits right in with the part of the country the Ultimate Battle of the Bluegrass Super Late Model Series operates in. CARNESVILLE, GA – A full day of activities for the Fastrak/Ultimate Annual Awards Banquet at the Park Vista Hotel in Gatlinburg, TN will start early in the morning on January 21. 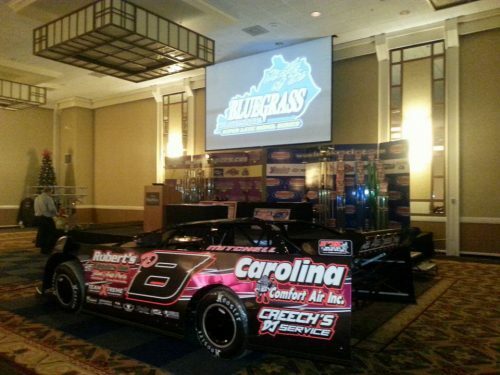 The first order of business right after breakfast will be the parade of Championship Dirt Late Models being rolled into the Grand Ballroom of the Banquet.